Pope Francis has begun his visit to a divided Colombia. Half the people support the peace pact with the Farc guerrillas negotiated by President Santos. The rest, led by ex-president Uribe, is against the accord. Father Darío Echéverri took part in the negotiations and thinks the Pope’s visit could be used politically. “The government wants the Pope, with all his moral authority, to endorse what the Government did, for which they risked everything. I understand it. I, as a priest, would hope that the Pope’s visit is not going to be left bogged down, pawned off or reduced to just that,” he said. Six thousand conflict victims are attending an act of reconciliation with Pope Francis. Consuelo González spent seven years kidnapped by Farc. She thinks forgiveness is needed to overcome a polarization that worries her. “A lot of damage has been inflicted on families, on friendships that were valuable and today are affected by the positions taken over the peace process. We cannot allow Colombia to keep living in an era of hate,” said Consuelo Gonzalez De Perdomo. Consuelo and Angela Girado, whose brother was murdered by the Farc, think that victims should play a more important role. “Farc are going to have seats in Congress, obviously to defend some points of the Peace. We the victims are not going to have any representation in Congress,” said Angela Giraldo Cadavid. She confirms that not everyone affected by the Farc favors the peace accords. “Victims that oppose the peace process do that because of the same confrontational atmosphere that we have in Colombia. There are some that take it in a political way and think that supporting the peace process is supporting President Santos and that being against the process is being in favor of president Uribe,” she said. That confrontation is part of daily life in Colombian households. “Polarization in Colombia could grow ahead of the 2018 presidential elections. Those who are against the peace pact have already said that they are going to tear it to shreds if they win. 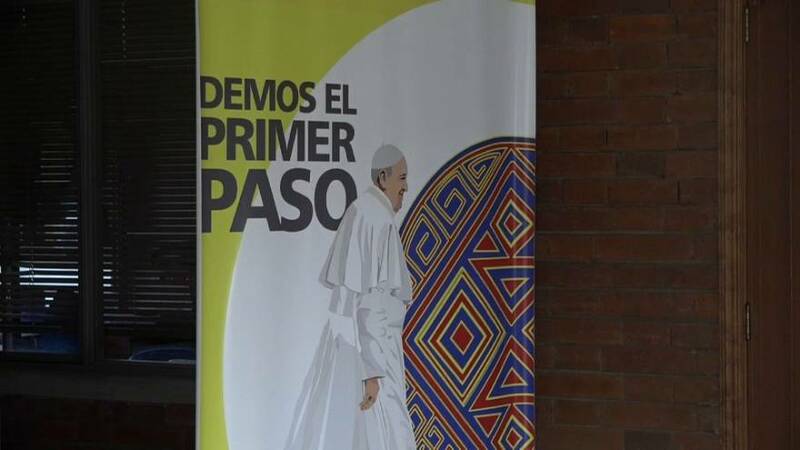 It seems difficult that Pope Francis’s visit will calm both sides,” reports euronews’ Héctor Estepa, in Bogotá.